While one of the saddest parts (though also very exciting) about working at a college can be saying goodbye to the newest graduating class, one of the BEST parts is helping to welcome the newest members of the Saint Rose family! 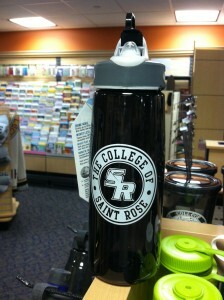 A big WELCOME to The College of Saint Rose Class of 2016! As a special way to say welcome, we’ve put together a few little things for the Class of 2016. First we asked the class to vote for their orientation t-shirt design (soon to be revealed at the first orientation session on June 26! ), and now we’re asking for your tweets! 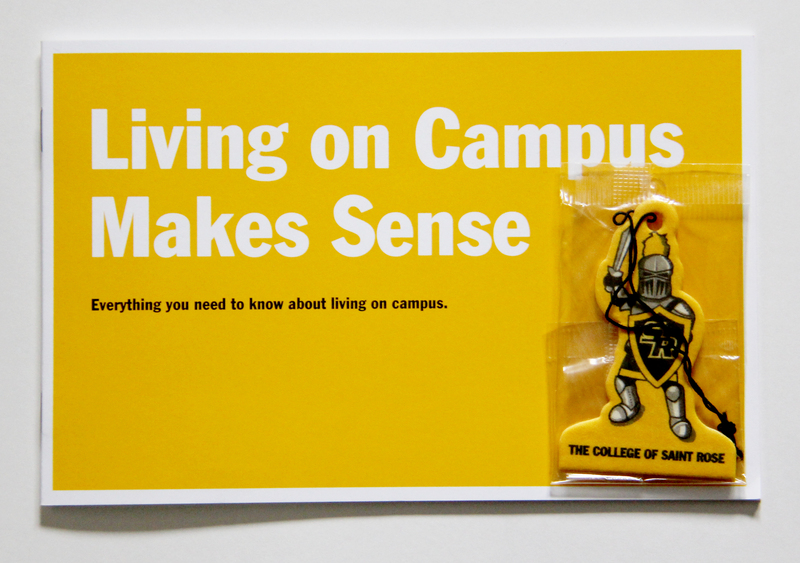 All incoming students should have recently received a Fear air freshener (pictured above). Tweet a picture of that air freshener using #StRose2016 and you will be entered to win a water bottle like the one below! We will accept entries until July 18, then pick three random winners from the incoming class. Bonus points (*not really*) to cool places that you bring Fear! Win me! 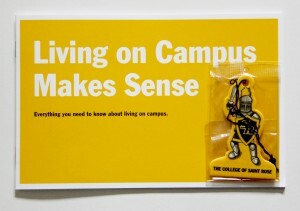 Class of 2016 members can tweet a pic of their Fear air freshener with #StRose2016 to enter to win.